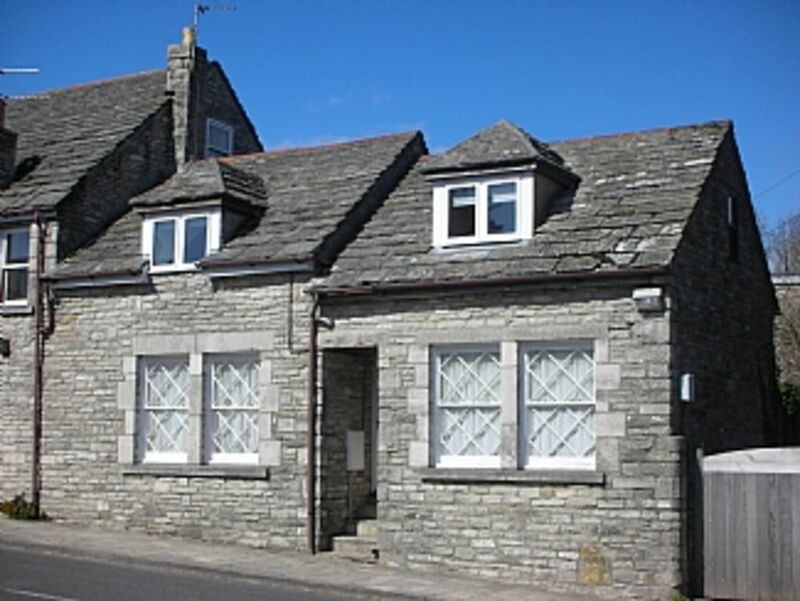 Apartment in stone cottage Nr Swanage 3 miles from Historic Corfe Castle 1.5km to the Jurassic coastal path, great for families and rambers. The picturesque village of Langton Matravers is located approximately 3 miles from historic Corfe Castle and 1.5 miles from the seaside town and beaches of Swanage. This is known as the gateway to the Jurassic coast - popular not only for fossil hunting, but also for coastal and cliff top walks with stunning scenery and views you'll remember for a lifetime. The vast, sandy beaches and dunes of Studland Bay are about 5 miles away, and food lovers can sample fine dining at the well-known 'Pig On The Beach' there. Excellent seafood is on offer at 'Shell Bay' restaurant, whilst a short ferry ride away lies the world renowned Sandbanks, home of the rich and famous, too. There, you can sample delights such as Rick Steins Sandbanks restaurant, activities like windsurfing and paddle boarding sessions, and of course, legendary Dorset hospitality! From Sandbanks, it's possible to get a boat ride over to Brownsea Island, the National Trusts' gem within Poole Harbour, the second largest natural harbour in the world (Sydney being the largest). On the island, you'll feel like you've escaped from the rat race, as you discover a wealth of unspoilt nature, including red squirrels and deer, woodlands, stunning harbour vistas and all the history that goes alongside this wonderful oasis of tranquility. Langton Matravers has easy access to country and clifftop walks - taking you to destinations including: Durlston Country Park, Dancing Ledge, Seacombe, Winspit, with its famous caves. Also nearby, is Worth Matravers, where you'll find an 18th century pub, The Square and Compass - built in 1776, it's complete with its own fossil museum and yearly pumpkin festival, as well as serving traditional real, English ales, straight from the barrel. The pub, with its incredibly far-reaching, panoramic sea views has been voted one of the best 5 pubs in Britain! A family friendly spot that's well worth a visit. Langton Matravers offers a local shop, post office and bakery as well as the Kings Arms pub, village church and Putlake Adventure Farm, which younger visitors are sure to enjoy. All are within easy walking distance from the cottage. If you love beaches, then Swanage has a lot to offer in this department with its 'Blue Flag' rating, along with a characterful, friendly, town centre. The beach is life-guarded during seasonally busy periods, and has traditional entertainment such as Punch and Judy shows on the beach, fishing and boat trips as well as fish and chips aplenty! In addition to its fabulous beaches and seaside atmosphere, at the end of July and into the beginning of August, Swanage also boasts its major annual carnival; the largest in the South. Access to the town is easy by car, bus, or even by foot, being only about 2 miles away. All in all, the immediate area has lots to offer - and further afield, the likes of The Tank Museum and Monkey World are within about 30 minutes drive, near Wool. We hope you enjoy your stay with us here - we appreciate there's lots to cram in to your break, so we look forward to seeing you return time and again! We spent so many years coming on holiday to this wonderful area of Dorset with my family that we decided to move here 14 years ago. We have never looked back. We love it here - there is so much to see and do, and it's all right on our doorstep! We are still exploring and discovering new areas and points of interest each week; we hope you enjoy Dorset as much as we continue to. We chose this for its character and location - it's ideally situated for access to all the features that make the area what it is today, and offers sensibly laid out, well presented accommodation, for up to four. Flexibility is the key feature here, and the cottage can be arranged to suit your needs - whether you want single, joint or family accommodation. An allocated, off-street parking bay is provided for your exclusive use, next to your accomodation. The cottage's central location gives good access to the areas' many attractions, from rambling/hiking to sightseeing and exploring further afield, you'll find it convenient, and easy to access your 'home from home' during your stay. Newly fitted shower and cubicle, basin and WC, wood floor and Washing machine. Light and airy large living room with 3 seat sofa and a 2 seat sofa, dining table and 4 chairs, flat screen TV with Freeview and Dvd. Plenty of games, DVDs, toys and books. Local info & map leaflets. The well eqipped kitchen has been fitted May 2014 it has an electric cooker and hob, fridge/freezer, microwave and dishwasher. You can hire all sorts of water sports equipment in Swanage , Sandbanks, Studland and Poole. boat and fishing trips as well as boat hire all available from Swanage - from the pier area. Swanage, Sandbanks, Studland and Poole. Tennis courts in Swanage located in Beach Gardens. The outstanding Purbeck Golf Club is 3 miles away. Mini golf, crazy golf and pitch & putt are all located in Swanage. Notes on accommodation: The Property has central heating. For families with small children a highchair, stairgate, baby bath, changing mat and bed guard are also provided. The property is cleaned between lets. Other: 1 allocated parking space at the rear of property. This holiday flat had almost everything you could want, excellent location with the bus stop to Swanage and Poole right outside your door, if like me you want a break from driving. Footpaths all around, with one to Dancing Ledge right opposite the cottage. The flat was very well equipped and very clean and tidy with lots of thought gone into making your stay as pleasant and enjoyable as possible. For visitors with children there was a plethora of toys, games and videos to keep them occupied. We found washing up liquid, tinfoil, bin bags and cleaning materials provided (just the kind of things you forget when self catering), and some eggs, milk and breakfast cerial to get us started. Unfortunately, the flat doesn't have WiFi although the pub accross the road does and I can understand some may take advantage if WiFi was on tap at the flat. All in all a very enjoyable break in Langton and I would stay in this holiday flat again and reccomend it without hesitation. we had a week in this lovely apartment, lots of room for a family of four. In a great position easy to get to the coast and beaches. Lovely walks from the doorstep, would highly recommend. My family had a really lovely holiday. Everything we needed was provided. With the hot weather the two fans provided were life savers. The children had plenty of play toys and board games. The beds were very comfortable. The neighbours were very friendly. Car parking space provided. The welcome gift of a box of tea bags and breakfast items was very thoughtful as was the washing machine and dishwasher tablets. Thankyou for your review 😀 we are glad you had a lovely time and enjoyed our beautiful Cottage in the stunning surroundings of the Jurassic Coast. The cottage was so well equipped and comfortable for our family of four. It was a fantastic base for exploring Purbeck and Studland. The village has a good post office shop a pub and Putlake farm. A short walk (approx 1 mile) from the coastal path at Dancing Ledge. Great little flat, although plenty of room for family with 3 teenagers. Very well furnished and equipped. Just over the road from the path up to the coastal path. Great for walks. Nice village, not too busy, good shop and 2-3 nice pubs with great food. Easy access to Swanage and surrounding area. We would definitely use again. The apartment is situated ideally for all local beaches and for accessing all the many local coastal and country walks. Studland Horse Riding stables offer fantastic beach rides where you can go into the sea. Forest and heathland rides and not to mention Old Harry Rock with amazing elevated 360 degree views all on horse back!! 1 mile walk to the Jurassic coastal path starting at Dancing Ledge. 20 mins. 1.5 miles to Swanage beaches, 5 min drive. 3 miles to Studland Bay, 10/15 min drive. 3 miles to Corfe Castle, 10 min drive. 1.5 miles to Swanage and 3 miles to Corfe Castle. 30 minute drive to Poole and Bournemouth. 30 min drive to Bovington Tank Museum. 30 min drive to Monkey World. Langton Matravers has 2 local pubs which serve good food, a play park, a church and local shop/post office which stock fresh bread and local meat etc. A village Hall, scout hut and new Primary School. The nearest supermarket is just outside the village about a 3 min drive, where you will find a good fish and chip shop too. Putlake Adventure Farm is a 5 minute walk away, it has an indoor play zone for wet days and lots of animals to feed and handle, to keep the kids busy, tractor rides and lots more. Swanage which is a 5 min drive has many shops, 2 supermarkets, banks, restaurants, cafe`s, and the famous Chococo! The town is small but can be quite a busy depending on when you go.There are 2 indoor swimming pools. Booking Notes: £100 deposit is required this is returnable, providing the accommodation is left in the condition in which you find it at the commencement of your booking. (please see below for more details) The balance of payment is due 8 weeks prior to booking. Guests are required to leave the apartment clean and tidy. All lettings commence at 3.00pm and terminate at 11am. Upon final payment, details of key collection and other details will be sent to you. No pets allowed. Strictly No smoking. We want you to enjoy your stay. Do please let us know immediately if there is anything amiss, so that we can correct it for you as soon as possible. Any damage or breakages must be reported, and the accommodation should be left in the condition in which you find it at the commencement of your booking. Replacement of items, additional cleaning costs or repair of properties/damaged items will be deducted from security deposit. Changeover Day: Lettings run Saturday to Saturday. Lettings commence at 3pm and terminate at 11am. There is an option for minimum 3 night stays out of season. Please get in contact for more details. Linen is provided, but not towels.